Girls, here are the heartbreakers of 2036. We already proclaimed the next set of Manila’s It Girls circa 2036, so OF COURSE we made a list of their celeb baby boy counterparts! 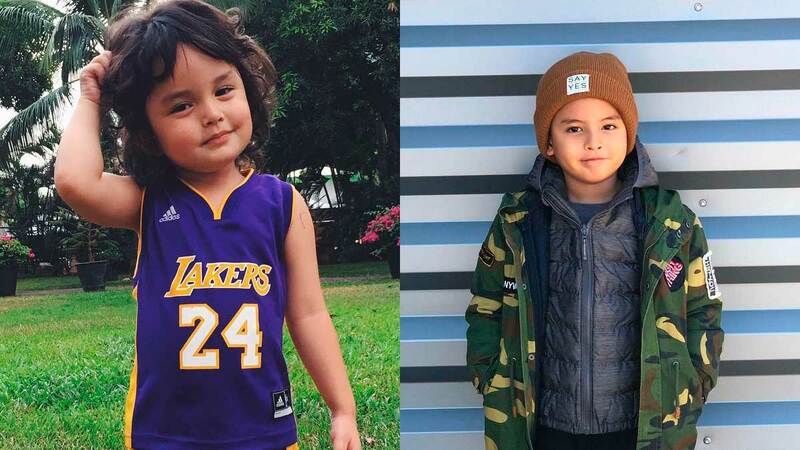 Everyone, meet Zion Lahbati Gutierrez, Connor Wilson Consunji, Gavin Garcia Kramer, Braeden Soriano Dee, Alejandro Laurel, and Ethan Akio Reyes aka Manila’s Future Heartthrobs. Wish we were 20 years younger, LOL. Ever since Zion was introduced to the public a few years back, we INSTANTLY knew he’d be a heartbreaker. With stunning good looks and those gorgeous curls, Zion already has a love of fast cars and basketball–just like his matinee idol daddy! At a young age, Connor has already experienced the jet-setting lifestyle of his high society parents. He’s preppy, well-traveled, and for sure he’ll be one fiiiiine young gentleman years from now. A catch? MOST DEFINITELY. The unico hijo of the Kramer Klan, Gavin has been in the spotlight literally since he was born. He’s makulit, wacky, and definitely charming, much to the delight of his equally-endearing ates, Kendra and Scarlett. As the first baby of the It Girl barkada, Braeden is one lucky boy, with his slew of famous ninangs! Well-traveled and impeccably dressed, Brae might just follow in the footsteps of his business-savvy parents. A mogul-in-the-making? We shall see! Denise's "Little Warrior" is her child from a previous relationship with her Italian-American boyfriend. This curly-haired cutie-pie got his mama’s vocal chops, so for sure we’ll be hearing more of this crooner’s sweet voice in the years to come.